Due to our strong personal convictions, we wish to stress that this Newswire article in no way endorses a belief in Michael Jackson. Marking the 33rd anniversary of Michael Jackson unleashing his juggernaut album Thriller onto the world, Google Play is giving the multi-platinum-selling album away for free this week. The offer is available for U.S. residents, from now until November 27. At the risk of courting controversy, we’re going to take a stand on this one: Thriller—which, to this day, maintains its place as the best-selling album in the history of recorded music—is really good, and picking it up gratis sounds like a pretty good deal. 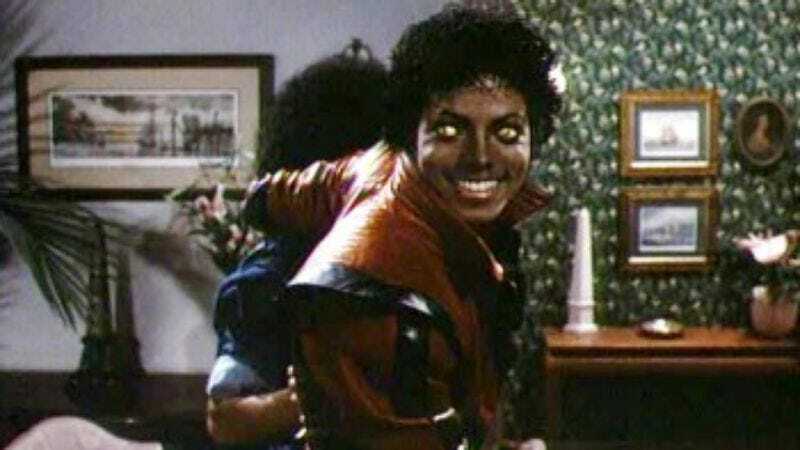 Since there’s not much more to say about that, then, let’s turn our attention to a related, but far more important topic: How weird is it that Thriller came out right around Thanksgiving?